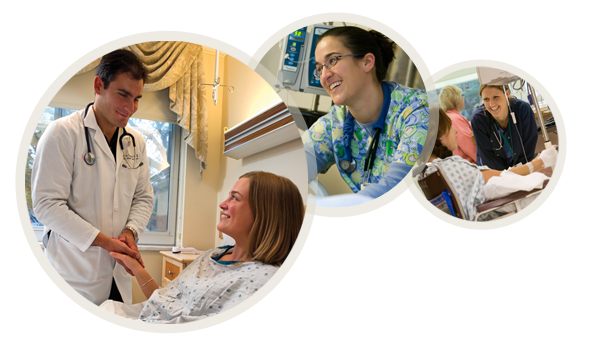 At Winchester Hospital, in addition to excellent health care delivered by a medical team that really cares, we offer special services to help during your time with us. Many of the services we offer can be found in Winchester Hospital’s Guide to Guest Services. This guide is available in all inpatient rooms at Winchester Hospital, and it can also be found by clicking here. Learn more about amenities including our cafeteria and amenities, patient meals, our interpreter services and our gift shop. Your room assignment is based on your admitting diagnosis and bed availability on the day of admission. You may be moved as your health changes. Private (single-bed) and semi-private (two-bed) rooms are available. The majority of our rooms are semi-private. Placement in a private room is based on availability. Please note that insurance usually does not cover the full cost of a private room. While you are a patient at Winchester Hospital, you may be seen by a Hospitalist instead of your primary care doctor. Our Hospitalists provide high-quality health care to patients in the hospital in collaboration with your primary care physician. A Hospitalist is an internal medicine physician who cares for patients during their hospital stay. This enables them to focus exclusively on you and your illness. Our Hospitalist service also has board-certified nurse practitioners trained in managing the care of hospitalized patients. Because Hospitalists provide care 24 hours a day, 7 days a week, you may see more than one member of the Hospitalist team during your stay. At Winchester Hospital, the Case Management team is comprised of nurses and social workers to help you with your needs and arrange any post-hospital care you may require. Case Managers are assigned to each patient care unit. They work collaboratively with your health care team to determine the best plan of care to meet your individualized needs. Case Managers are available seven days a week from 8 a.m. to 4:30 p.m. Their goal is to provide you with the best discharge plan possible to meet your post-hospital needs. Learn more about Case Management at Winchester Hospital.